Working with our partner mill in Portugal, we have developed a lightweight and breathable pique cotton that feels exceptionally soft against the skin. 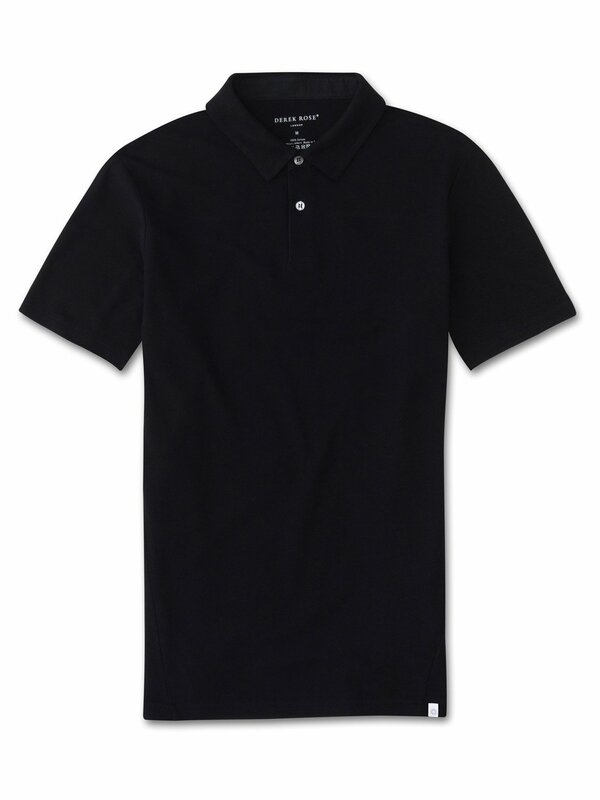 Constructed from 100% compact cotton - a high quality yarn made by processing an extra long staple (fibre) cotton with a compact spinning process, the deep black Roland polo shirt has a unique honeycomb construction which allows for exceptional breathability, whilst the back of the pique is a flat knit for a smooth and soft touch against the skin. A compact yarn is synonymous with superior pilling resistance, minimum seam slippage/twisting and maximum colour-fastness. The yarn structure results in a uniform fabric appearance and a softer, suppler drape of the knitted fabric. The excellent wear properties of the garment, its wash-fastness and low pilling tendency ensures the Roland is durable and made to last. The Roland is perfect for warm weather, holidays and sport, all thanks to the lightweight construction allowing for a good drape, soft handle and cool feel. Alongside this new fabric construction, innovative design features include ergonomic angled seam placement, a curved back yoke and stepped hems and side vents, all for comfort and range of motion. We finish the Roland with a neat woven cotton insert placket and mother of pearl buttons for an added touch of luxe.